﻿John R. Reitzell entered the U. S. Army in Monroe, Louisiana in 1969. 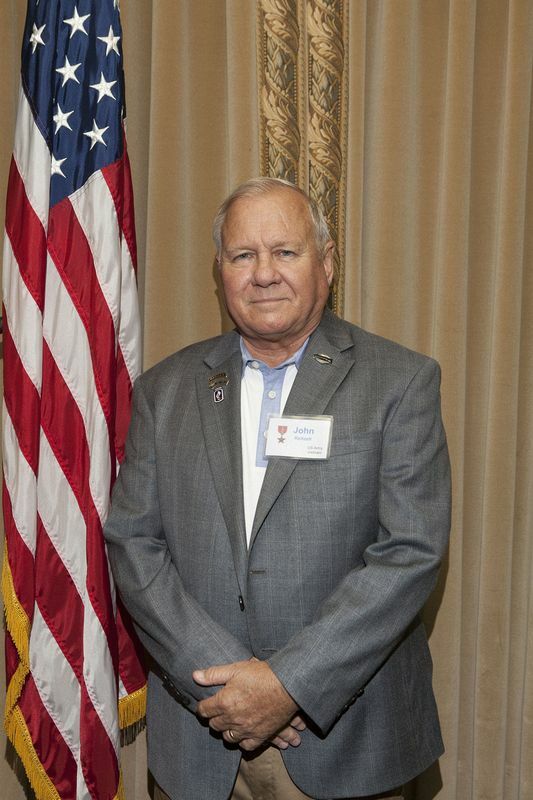 He served in Vietnam where he earned the Bronze Star Medal with “V” on August 27, 1970. As a platoon leader, he repeatedly exposed himself to enemy fire, being wounded twice, while directing, maneuvering and encouraging his men. He also received two Purple Heart Medals for the injuries sustained during this action. He retired as a Colonel with over 27 years in the military. Mr. Reitzell is currently a resident of Huntsville, Alabama.